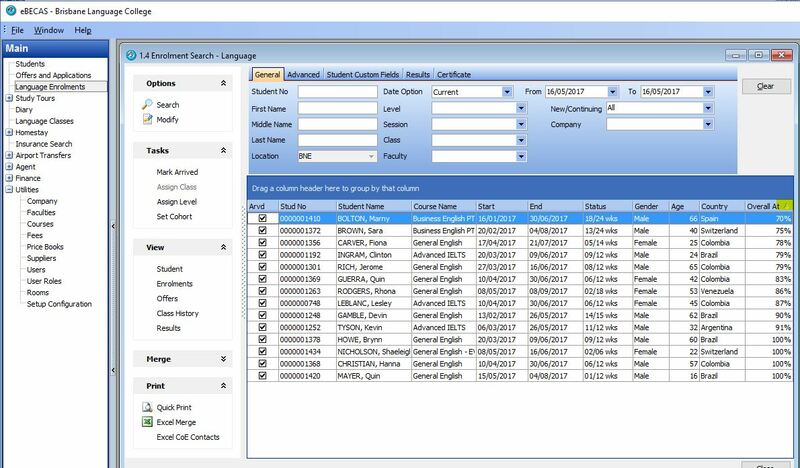 eBECAS enables colleges to send many different types of warning letters from directly within the system. 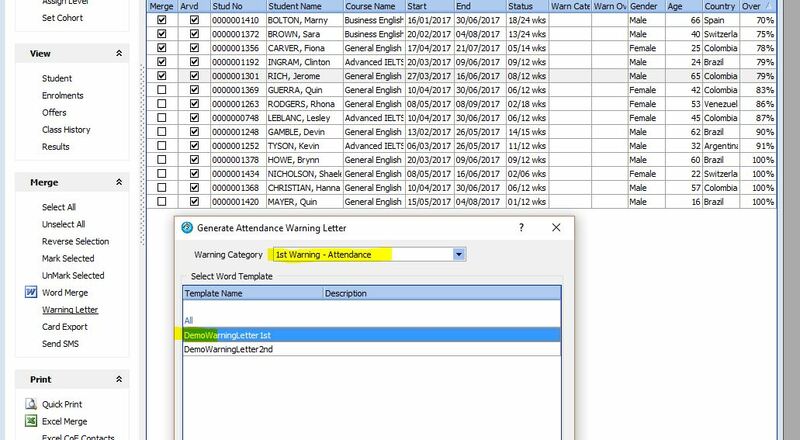 Warning letters can be created and categorized, so there may be different levels of warning letters regarding a single problem such as attendance and monitor warning letters. 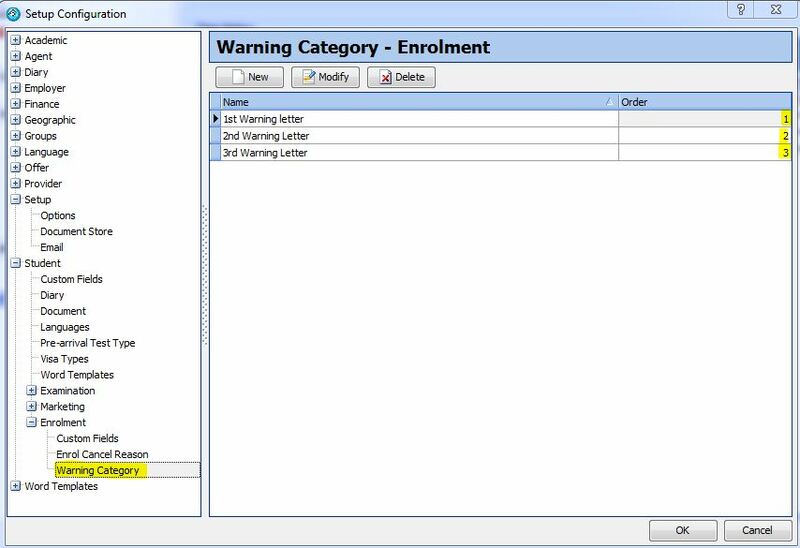 To generate a mail merge for a bulk amount of warning letters, please first navigate to the Enrolment Search. From here you can display the attendance and order the results by lowest to highest. I would encourage you to display the Warning Letter Columns, which display the previously sent warning letter if any. 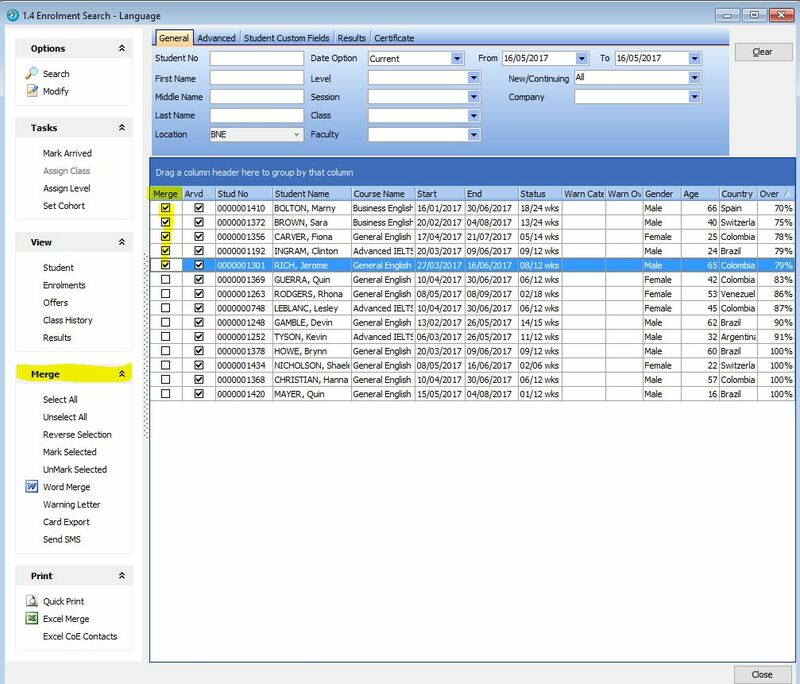 Select the Merge option (highlighted), which will display all the merge options available. 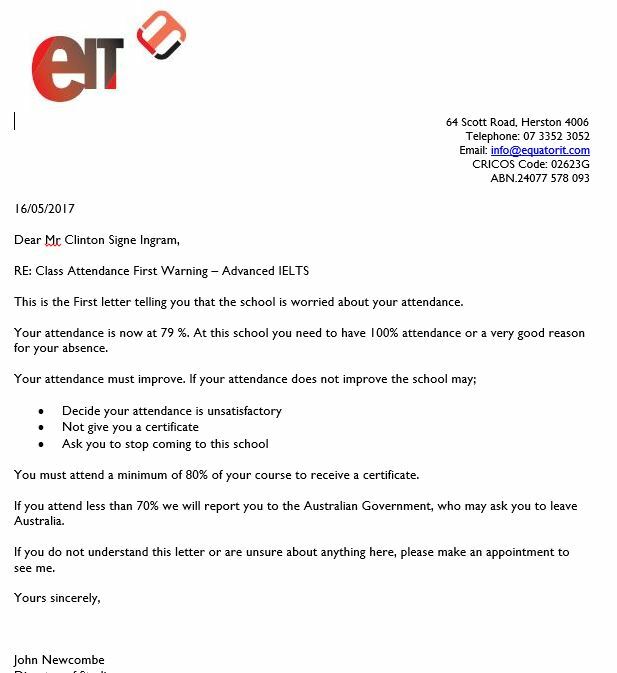 Select the student enrolments you wish to send the warning letters. 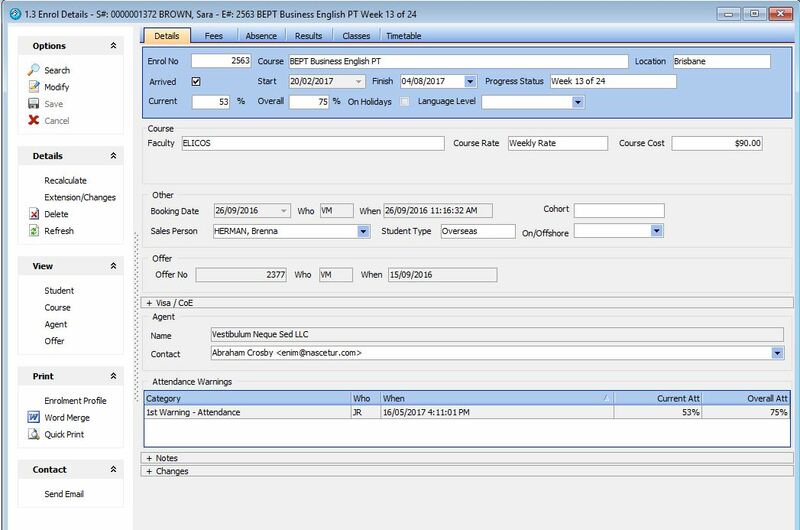 Now select the option under Merge – Warning Letter the following screen is displayed. You will have to select the warning category and the template to use. 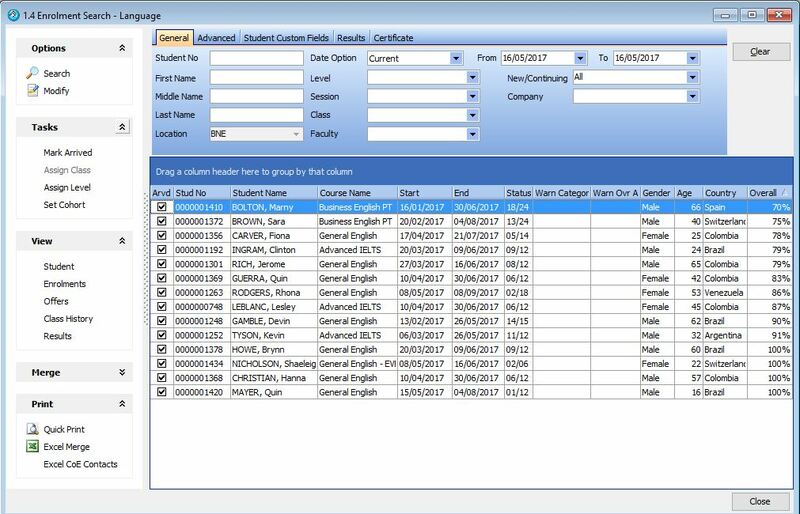 Press ok, and the bulk letters are merged for the selected student enrolments. After the letters are merged successfully, you will be asked if you want to save the attendance warning notification. If you save the notification, the columns are updated with the last warning. 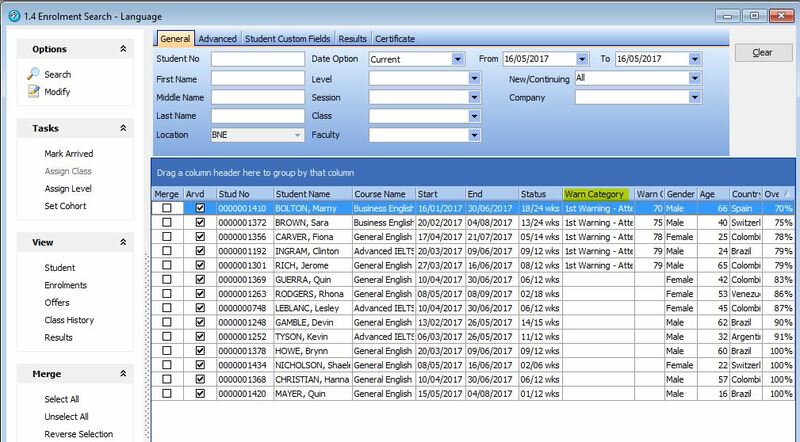 The Enrolment details displays the history of all sent warning letters. Warning letters are categorised. 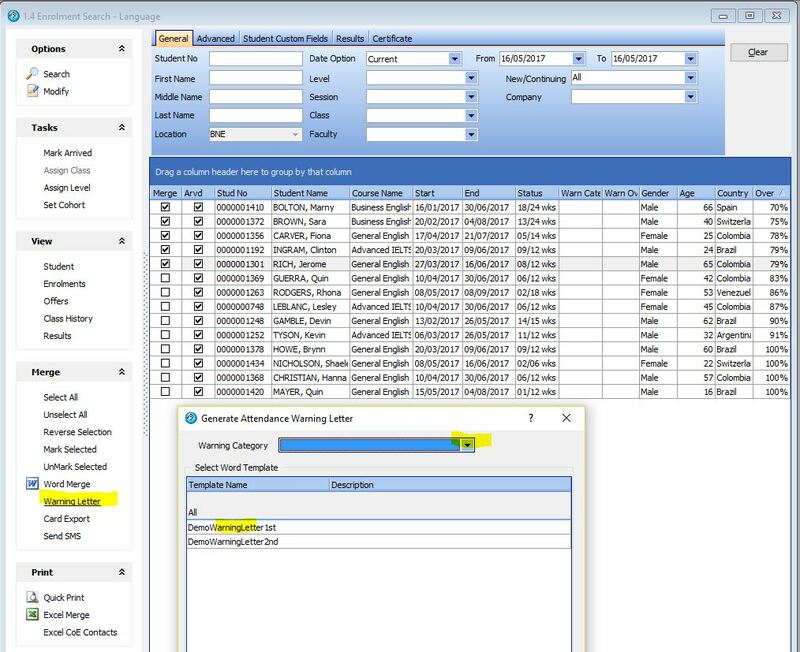 Please specify the warning categories here – eBECAS – Utilities – Setup Configuration – Student – Enrolment – Warning Category. Also register your warning letter templates under the Enrolment area.